This is part of a series of “How To” DIY articles that use recycled and re-purposed salvage materials to create useful new objects. Many of these items are available exclusively through MADE art boutique in downtown Phoenix and on-line at www.madephx.com. License plate birdhouse made from recycled and re-purposed materials. One of the buildings I renovated had a box full of old Arizona license plates in the root cellar. I used the license plates to make a small series of custom birdhouses. You can make your own license plate birdhouse using the step-by-step instructions below or buy one at MADE art boutique. There is also a License Plate Birdhouse Plan PDF with the dimensions of each piece based on the standard size of the U.S. license plate. This design was arrived at through much trial and error. The 3/4″-wide pine from old shelves and cabinet doors salvaged from a kitchen remodel is the perfect depth to create these birdhouses. 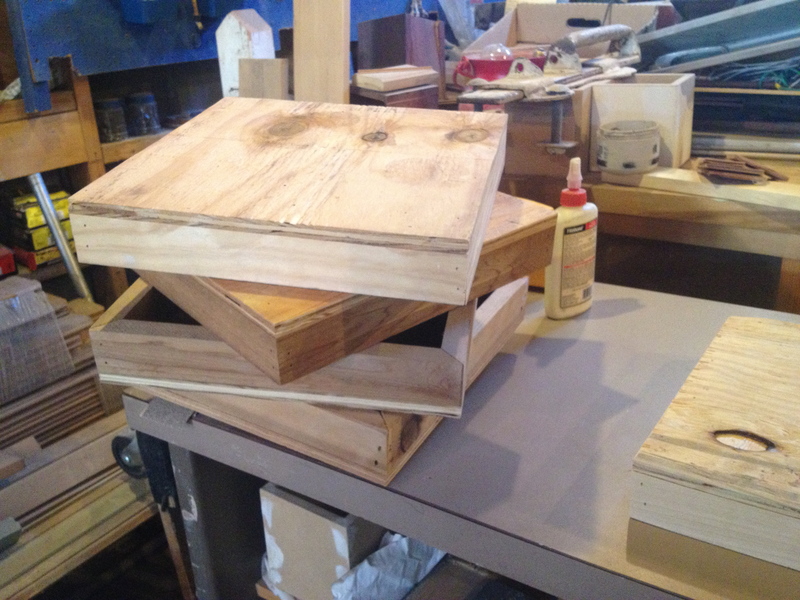 You can build one birdhouse, or several at a time. Old kitchen shelves and cabinet doors make good material to build smaller projects. 1) Start by cutting shelves or cabinet doors into smaller pieces for ease of handling. 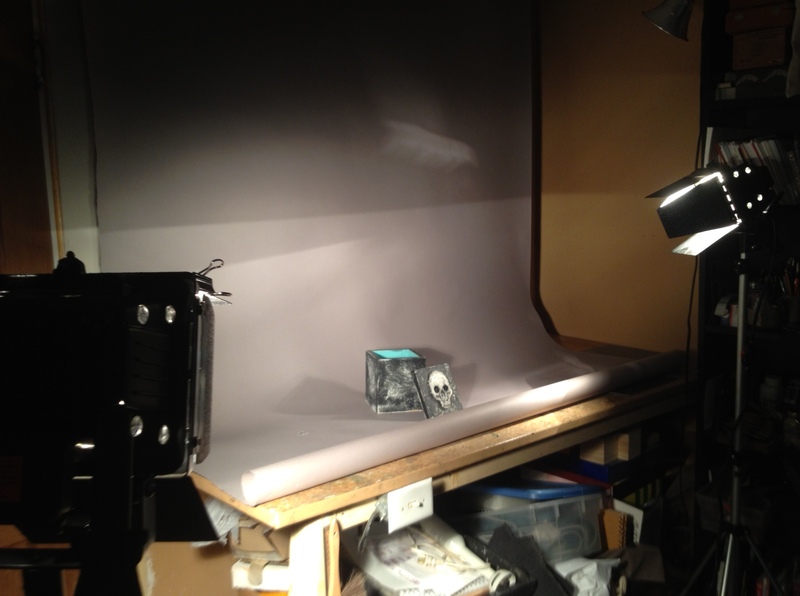 I have a small studio so this is an important step. I use a skill saw to cut the shelves into shorter 32-inch pieces. This minimizes waste material. Boards should be at least 10 inches wide. Remove any nails or other obstructions before sawing. Rip the wood into smaller pieces for ease of handling. Tip: Use a carpenter’s triangle for a straight cut. TIP: Use a carpenter’s square to guide your circular saw to cut square lines. 2) Rip the pieces for the front and back. 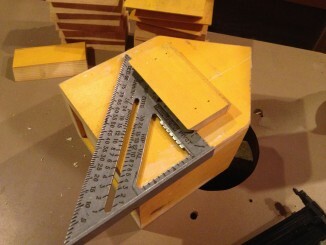 I cut each piece with 45-degree angle edge to make assembly easier and cleaner than a 90-degree joint. 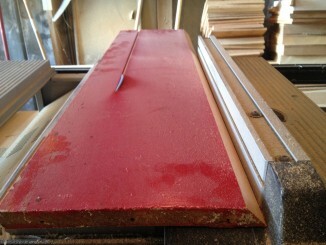 The widest point of the finished cut should be 7-1/2 inches. Rip the wood for the sides and front at a 45-degree angle. Taper the top edge of each side of the bird house at a 45-degree angle so that the slope aligns with the roof line of the front and back panels. 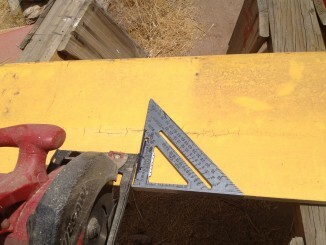 Use a chop saw to cut the front and back panels at a 45-degree angle. 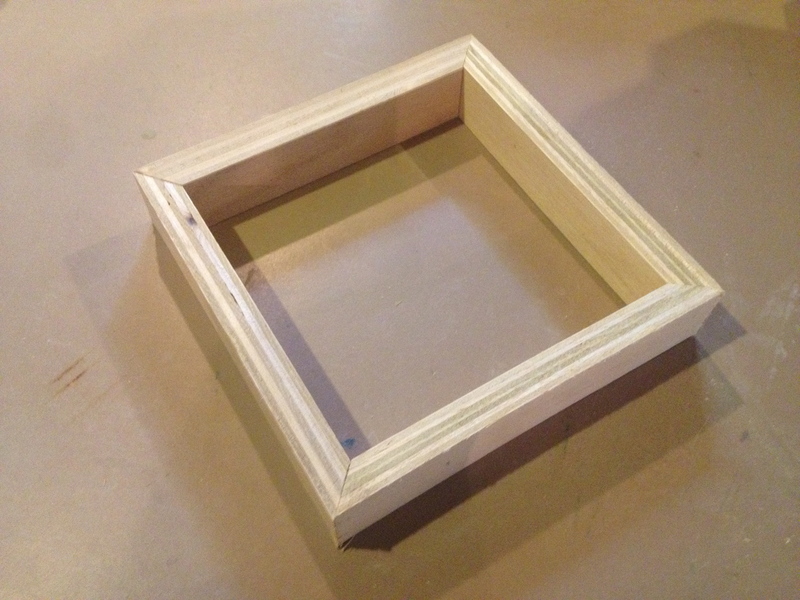 Use a carpenter’s square to mark the center line on the front panel for the opening and the perch. Use a hole saw or paddle bit to cut the hole for the entry. Pre-drill the perch to the same dimension as the wood for the perch. Different bird species prefer different opening sizes so do your research. 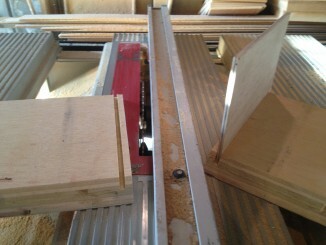 Use a router or table saw to make a through dado cut along the inside bottom of each of the four panels. The floor piece should slide snugly into the dado cut. Use a carpenter’s square as a quick short-cut guide to ensure you fasten the cleat straight on the back of the birdhouse. Use spackle, drywall mud or wood putty to fill the nail holes and any cracks. 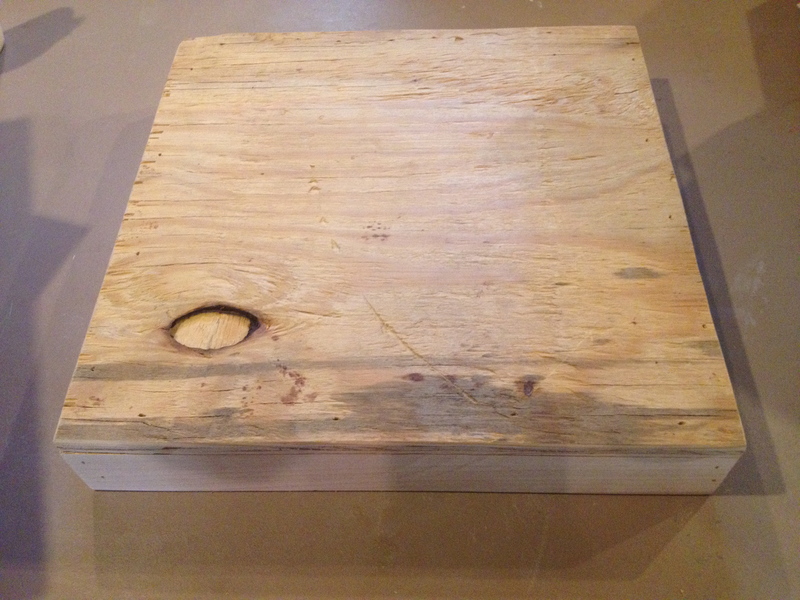 Some imperfections or pre-existing nail holes can make the finish more interesting. 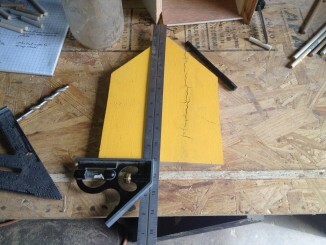 Measure the center of the front panel and mark two 45-degree cuts from the center line. The front and back will be mirror opposites and can be cut together. Place the front and back so that the longest side is together. Place the side against the back rail of the chop saw and cut the first angle. Flip the pieces over and cut the second side. TIP: Wood is a natural material. Variations in the width of the wood will need to be adjusted for in the measurement of cuts and angles. 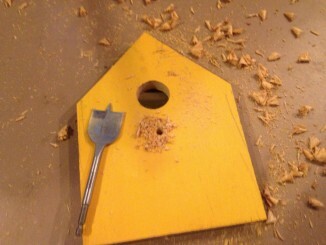 3) Use a carpenter’s square to mark the center line on the front of the birdhouse. Mark the location for the opening hole and the perch. Determine your preferred hole size (different species have specific preferences so you may want to consult your local ornithologist). Cut the opening hole with a bore bit or a paddle bit. Determine the diameter of your perch and use the same diameter bit to bore the hole for the perch. I cut the perch hole all the way through so the dowel fits snugly without glue. 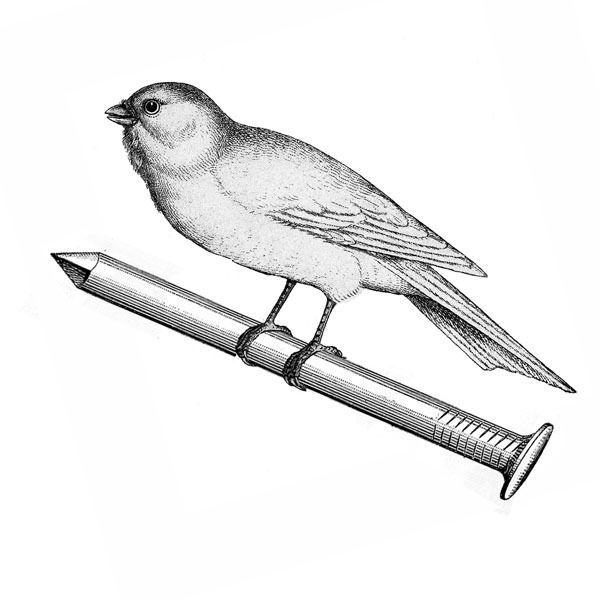 Use 3/8″ or 1/4″ dowel, rod or even an old pencil for the perch. TIP: For added detail, use a sander to slightly bevel the tip of the perch. 4) Next, cut the sides. These pieces will be identical. The top edge of the sides will be cut so that the angle aligns with the 45-degree slope of the roof. I cut these pieces on the table saw for precision. 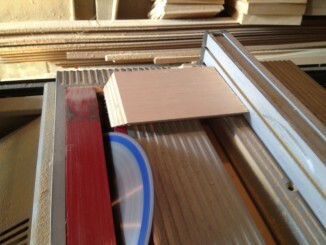 5) Once all four sides are cut, use a router or table saw to make a through dado cut at the inside base of each piece. This is the slot that the floor of the birdhouse will slide into. Measure the bottom piece to fit snugly into the dado cut. 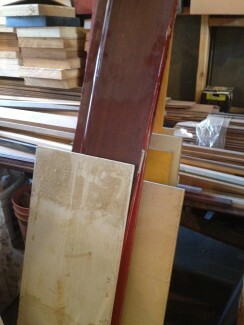 6) Now you are ready to assemble the pieces. Use wood glue and small finish nails to secure the pieces together. 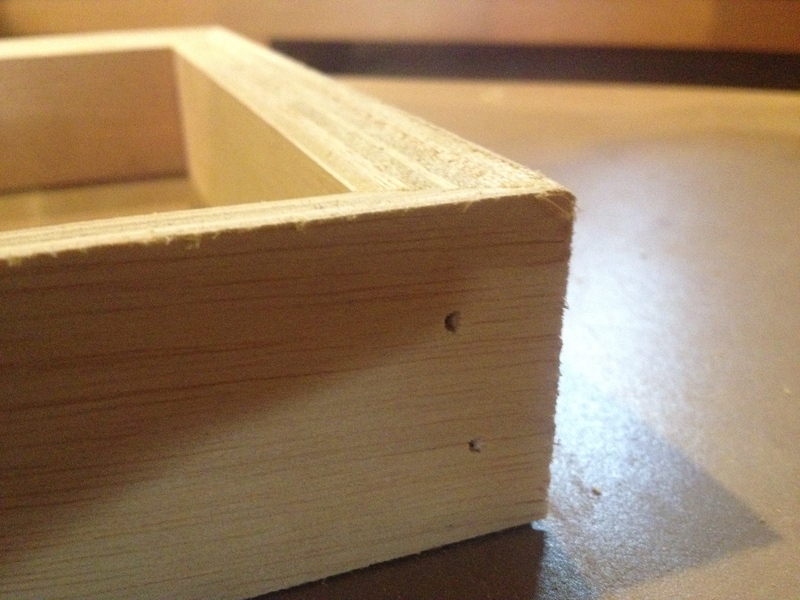 I start with the front and one side, using the floor piece snugly fit in the dado cut to keep the assembly square. Next, add the back and then the final side, securing each piece in turn. 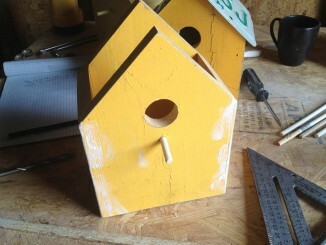 7) Lastly, add the cleat to the back of the birdhouse. The cleat mounts onto the back of the birdhouse with the opposite angle direction of the piece that mounts onto the wall or tree for hanging. 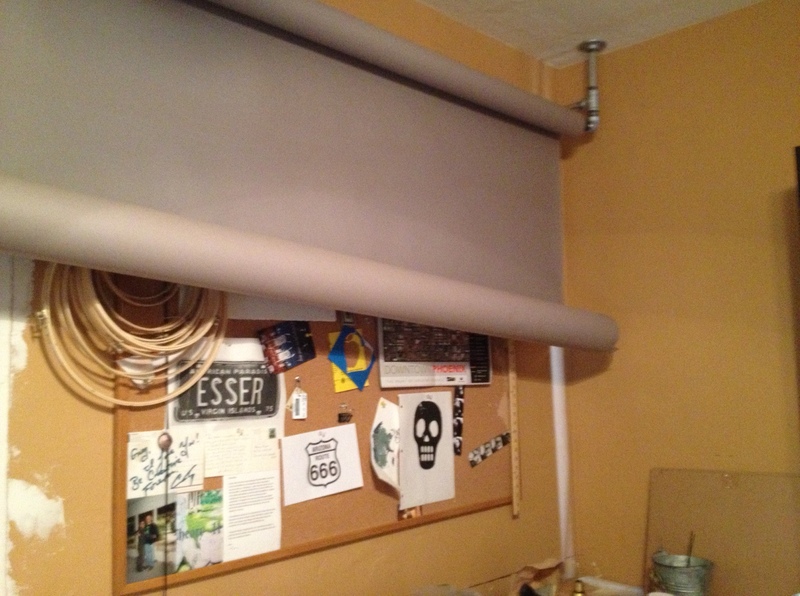 Countersink the bores in the piece that mounts to the wall. 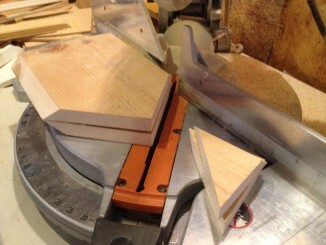 TIP: The material leftover from cutting the 45-degree angles for the front and sides is perfect to use for the cleats. Cut into 6-inch pieces. You will need two pieces to hang one birdhouse. 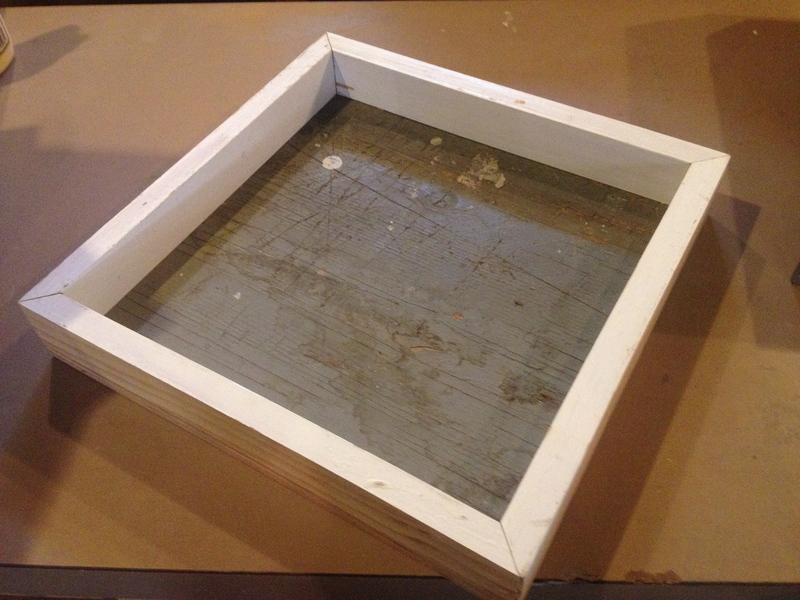 8) Once the piece is fully assembled, fill the nail holes with wood putty, spackling compound or drywall compound. Slight imperfections in the material give added visual appeal. Sand the entire piece to a smooth finish. 9) Paint the birdhouse. I generally use two or three colors painted in layers. Use a fine grade sandpaper such as 220 to slightly distress the top layer of paint until just the right amount of the under coat begins to come through. 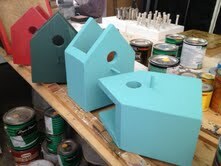 This is where each birdhouse begins to get a real personality. Try different color variations such as dark blue over light blue, blue or red over yellow, dark green over light blue, or dark green over light green over yellow. TIP: If you are painting raw wood, it is a good idea to use a quality wood primer as your first coat. 10) Finally, mark the center line of the license plate from top to bottom. 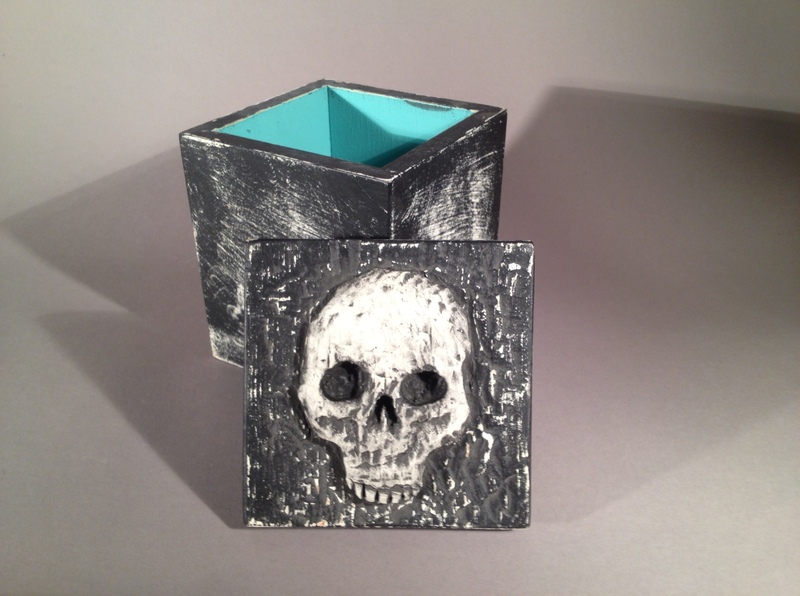 Each plate is a standard 6″ x 12″ size with four holes. Fold the license plate along the center line to form a 45-degree angle. I use the edge of a workbench and a mallet to get a crisp and even bend. The plate may need to be worked a bit depending on where and how the numbers are punched. Many newer plates no longer have punched numbers. Attach the license plate to the birdhouse with four wood screws. 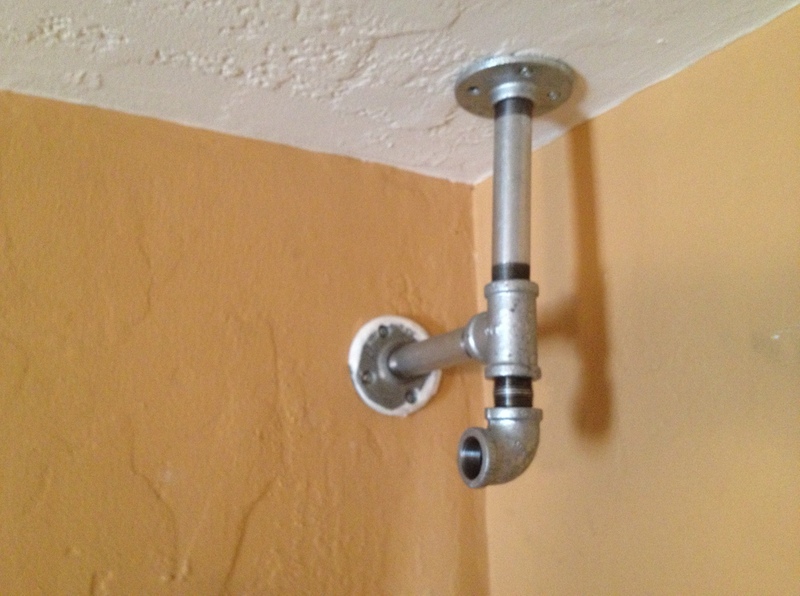 TIP: I use 1/2″ round washer head lath screws from Western Fastening Systems. They have great tooth and the top perfectly covers the size of the hole in the license plate. Use can also use a small washer and/or a small dab of silicon to seal the hole if needed. Congratulations! 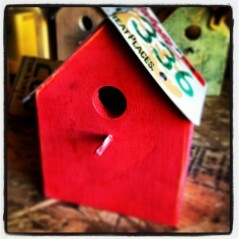 Your finished birdhouse is now ready to hang and welcome its new occupants! Like any recipe, these steps are a suggested guide only. Experiment and create your own unique variations. 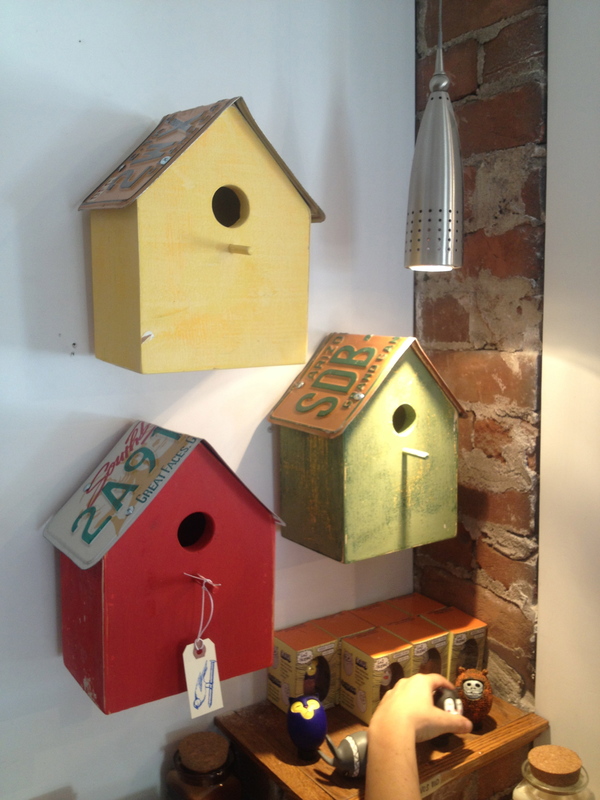 Each license plate birdhouse is one-of-a-kind and hand-made exclusively for MADE art boutique from salvaged and re-purposed materials. 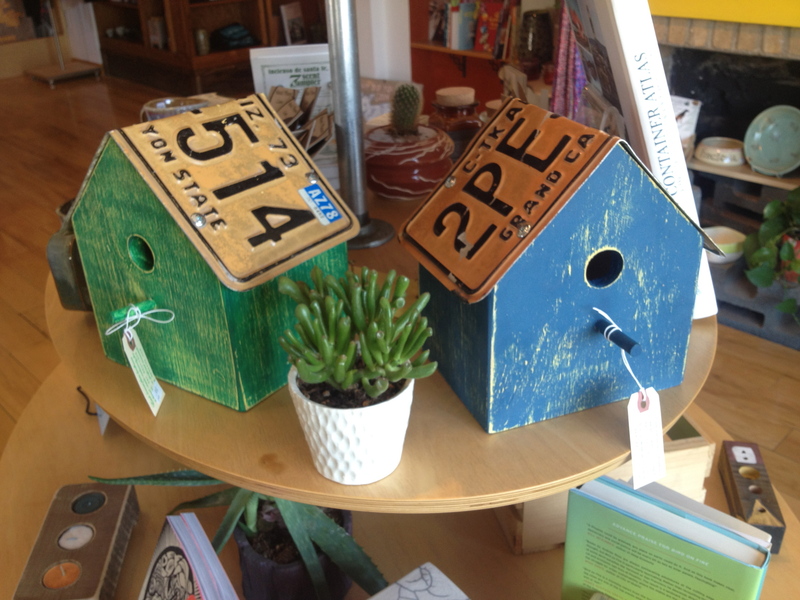 Finished license plate birdhouses at MADE art boutique.